I've had these Younique - Splurge Cream Shadows for a few months, and don't really get around to using them as much as I thought I would. If you have never heard of Younique, they are a direct sales company that sells makeup, and skin care. If you have seen some of my past posts, you will see that I have tried almost everything they sell. I'm not a rep, but I have quite a few friends that do sell their products, so I try and support them from time to time. I've tried their makeup remover cloths, moisturizer, cleanser for normal/dry skin, rose water, eye pigments, shadows, and so much more. 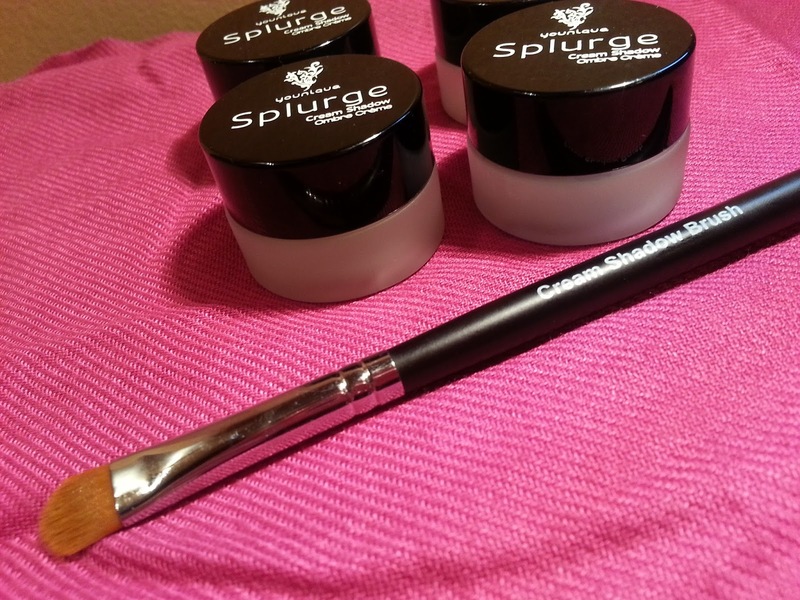 Anyway, today I will focus on only the Splurge Cream Shadows. As you can see in the above photo, I have 4 different cream shadows, and they even have a specific Cream Shadow Brush. You could also use your fingers to apply these. I usually use my fingers because I feel I have better control. This is what they look like without the lids on. They are a very "younique" consistency. They are airy and almost like mousse. Very smooth as well. From left to right we have Majestic, Noble, Dainty and Elegant. I wish their website had a description of each shade, but they don't. 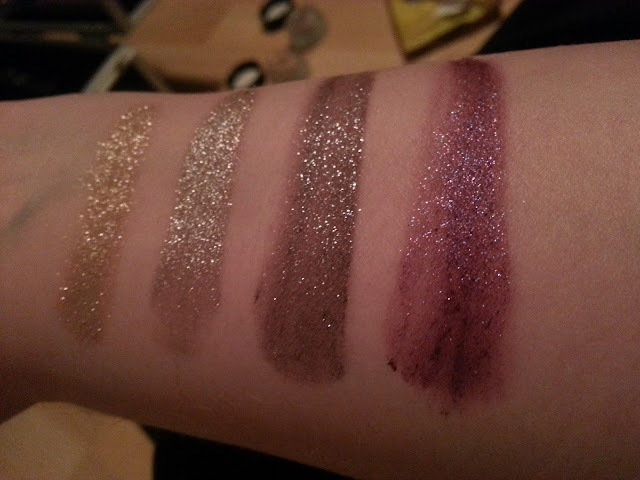 Here's a quick look at a swatch on my arm, in my horribly lit bedroom. I need some better lighting in here. Keep reading though because I do have another swatch, and some upclose pictures of each shadow. 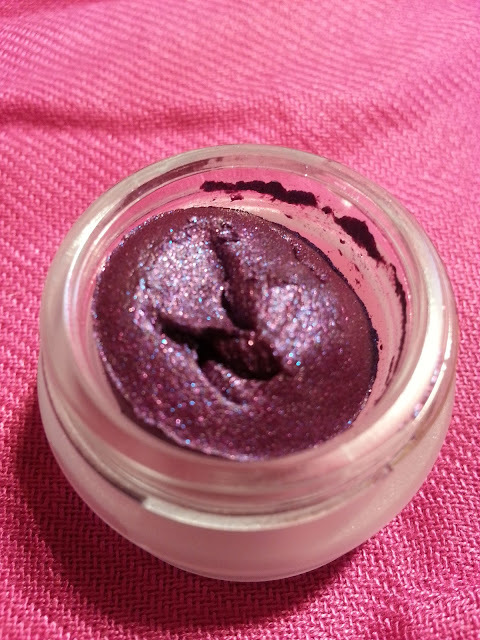 Majestic - this is a brighter purple shade. It has sparkle in it, and they are mostly blue, and pink. It's a little more bright than I would feel comfortable wearing, but you can control how dark or light you want the shadow to be. 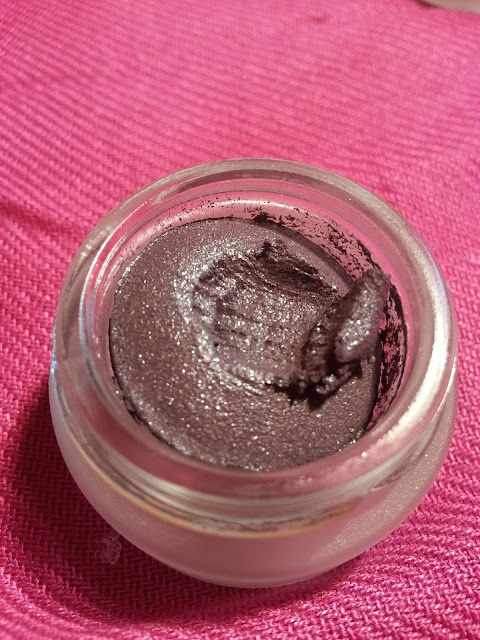 Noble - this looks a little more like a dark grey with a purple tone. 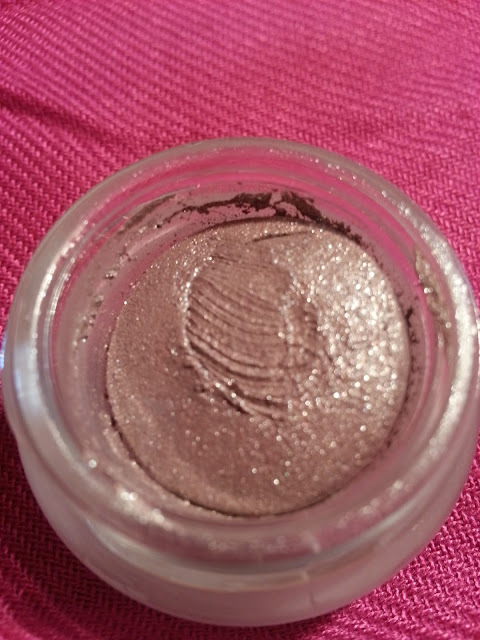 It has some silver sparkle in it, but it's a pretty shade once it has been applied. Dainty - this is a pale purple shade, it almost looks more silver when you apply it. It is very sparkly. 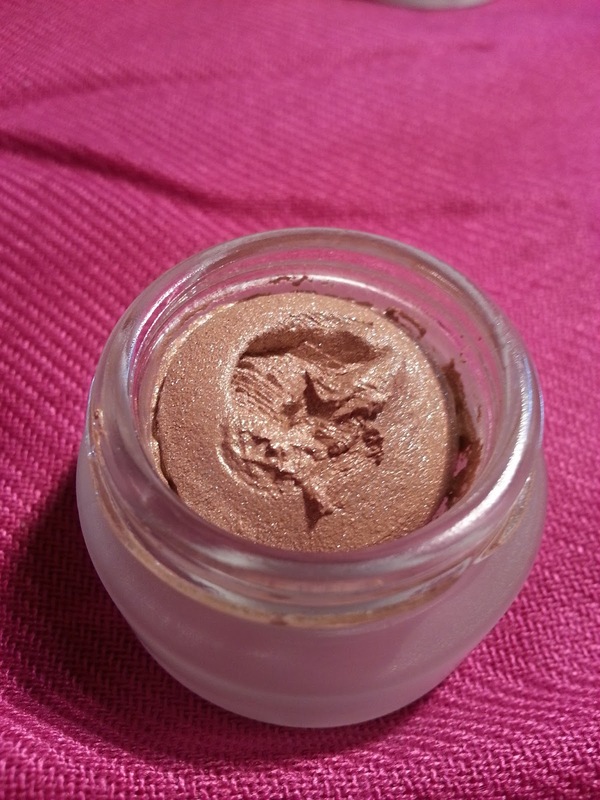 Elegant - this is probably the lightest, and "safest" colour choice that is available in the cream shadow that Younique carries. It looks a little more gold when it is applied, but it also has a lot of glitter. 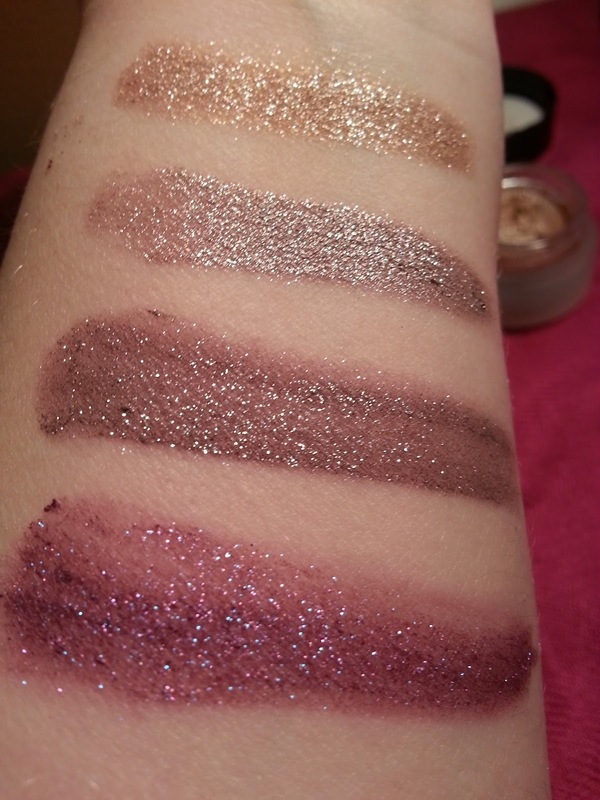 I wish they would tone down the glitter because it takes away from how creamy, and pretty this could really be. Now here is another swatch of the cream shadows in better lighting. The order it goes in from top to bottom is elegant, dainty, noble and majestic. You can really see the sparkle in this shot. Out of all of them, I think Elegant is my most favourite because it would be the most versatile. Majestic is pretty but like I mentioned before it's a little too bright for me! Both Dainty and Noble are also pretty, but they really pull the silver glitter, which could definitely be too much for some people. 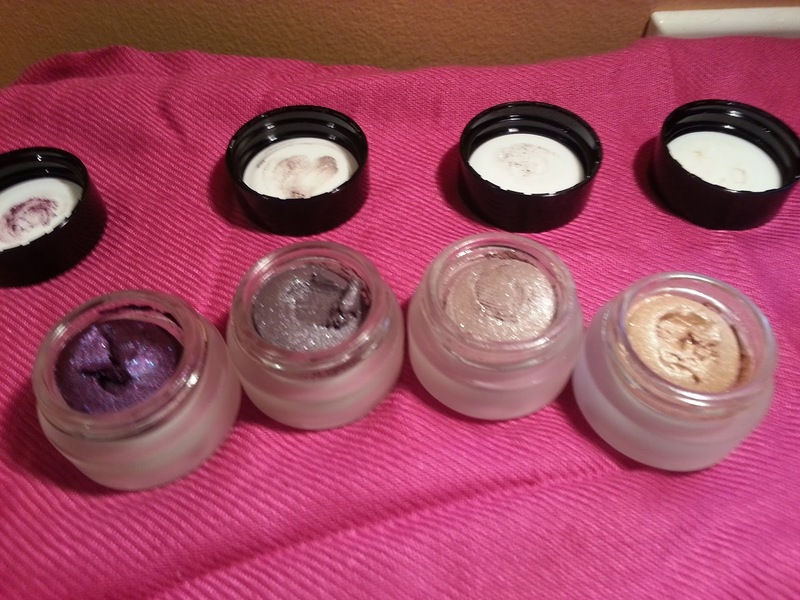 While they feel amazing, and you can control how light or dark you'd like the shade to be, I don't think I would repurchase these again. There is a few different colours to choose from, but I don't really like how much glitter they have in them. The consistency is cool, and nothing else like I own. But I don't reach for them as much as I thought I would.